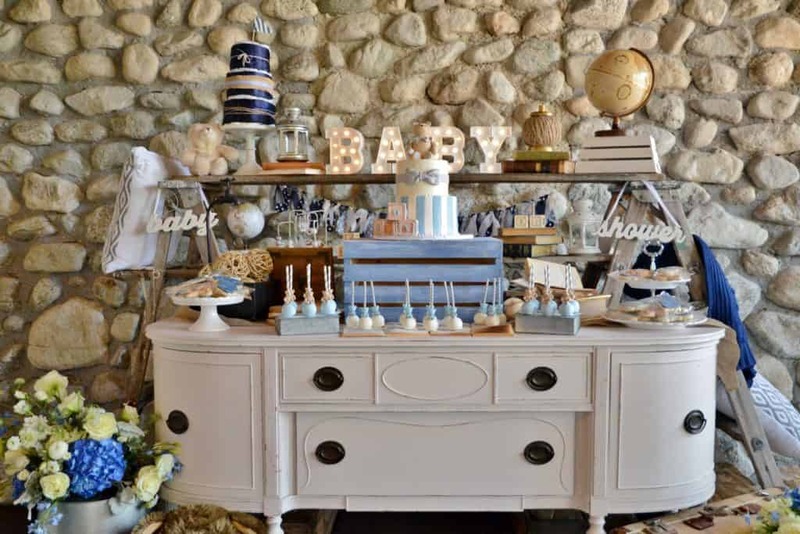 If you visited this article, you are probably knee-deep in organizing a boy baby shower. 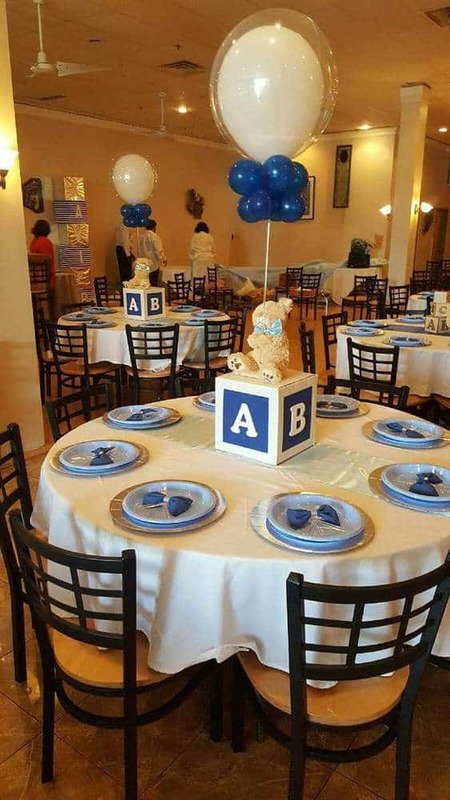 But there are millions of baby shower ideas for boys, especially on Pinterest and you’re probably wondering how to sort through all of that? 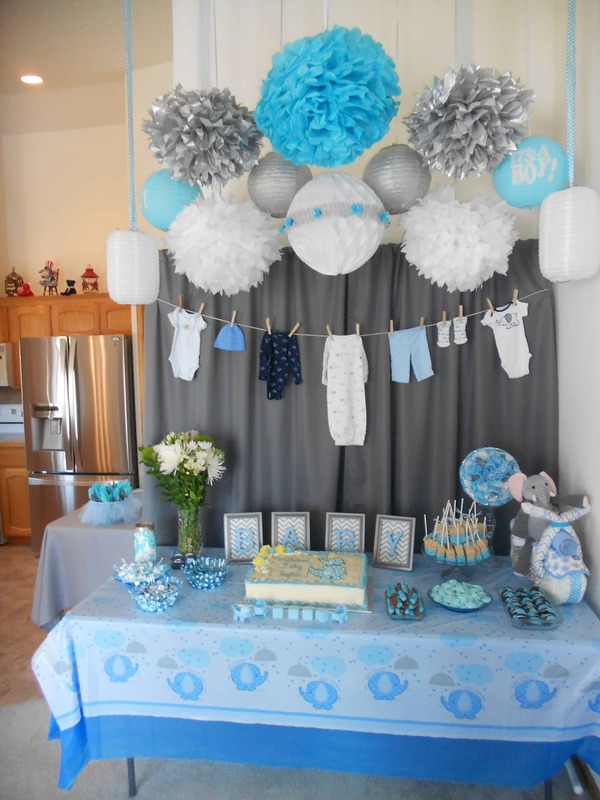 Choosing a theme and baby shower decorations are crucial parts of the process. 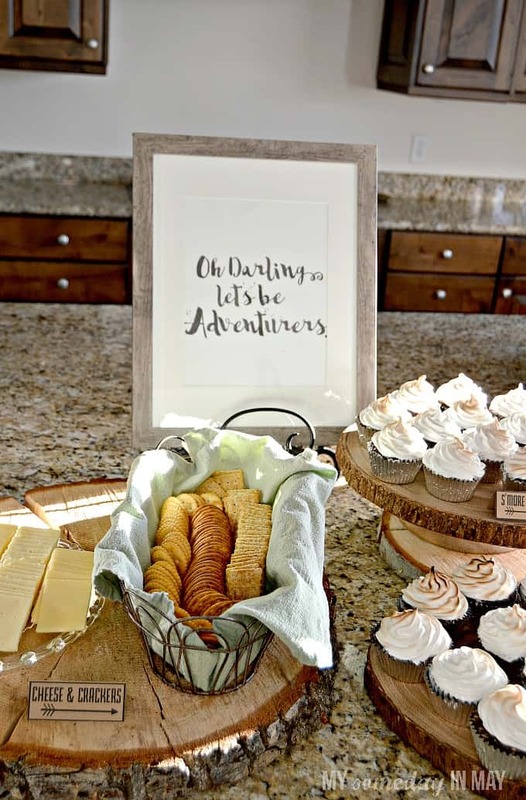 The baby shower ideas found in this post have two things in common: they are unique and completely doable! 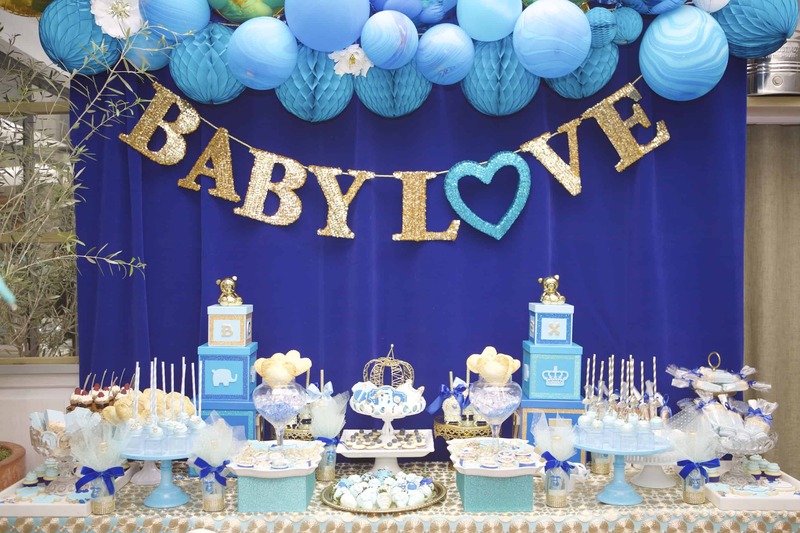 With these baby shower ideas, you won’t feel like you are just repeating the same overdone themes. 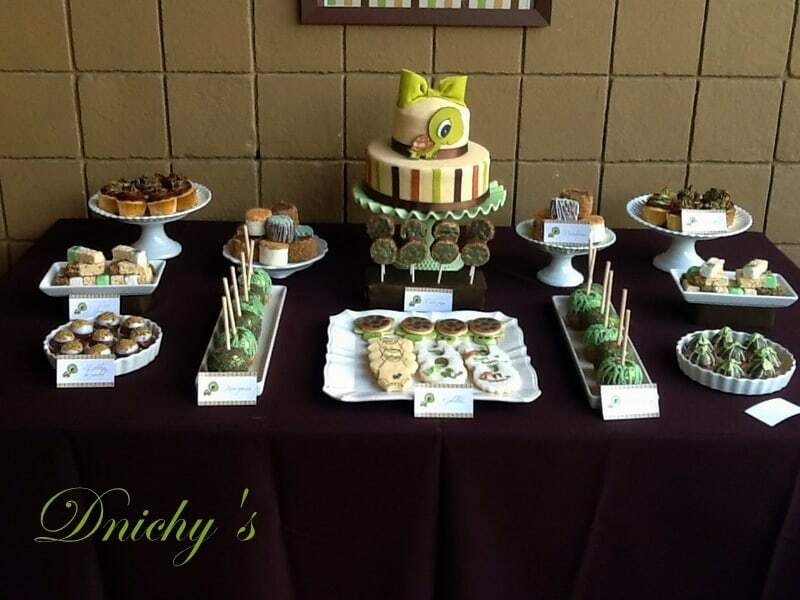 If you’re looking for even more ways to make your event a success, check out this post on 23 Must-See Baby Shower Ideas. For awesome game ideas, here’s this post on 15 Hilarious Baby Shower Games. And for gifting your guests with the perfect party favor, check out the 30 DIY Baby Shower Favors Guests Will Actually Want. 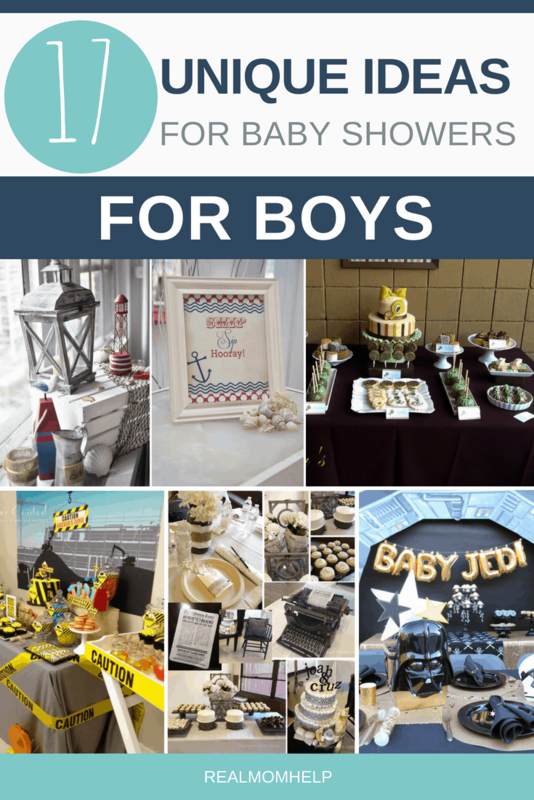 These ideas are specifically selected to inspire your next baby boy shower. Have fun! I love the simplicity of pairing white tablecloths with burlap. They create a neutral look, so any color goes great with them. The baby blue gets all the attention in this picture, and the different textures of the glass, burlap and cotton are a great way to add interest to the decor. Mason jars are so easy to find and decorate so this fabulous centerpiece doesn’t have to be overwhelming to create. Look no further if you chose a teddy bear theme for the shower you’re throwing. 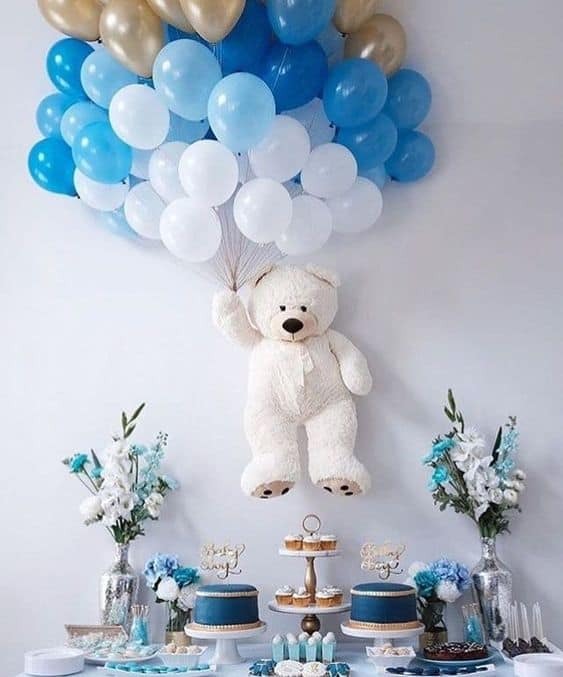 Pair cute bears with blue and white balloons and the decoration will be perfect. 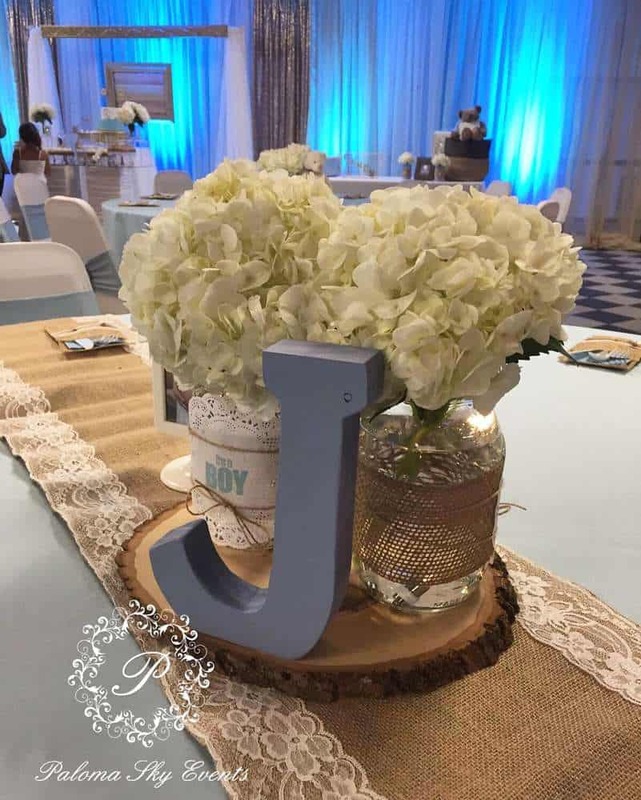 Similar ABC block centerpieces can be purchased from Etsy, for example, one like this. 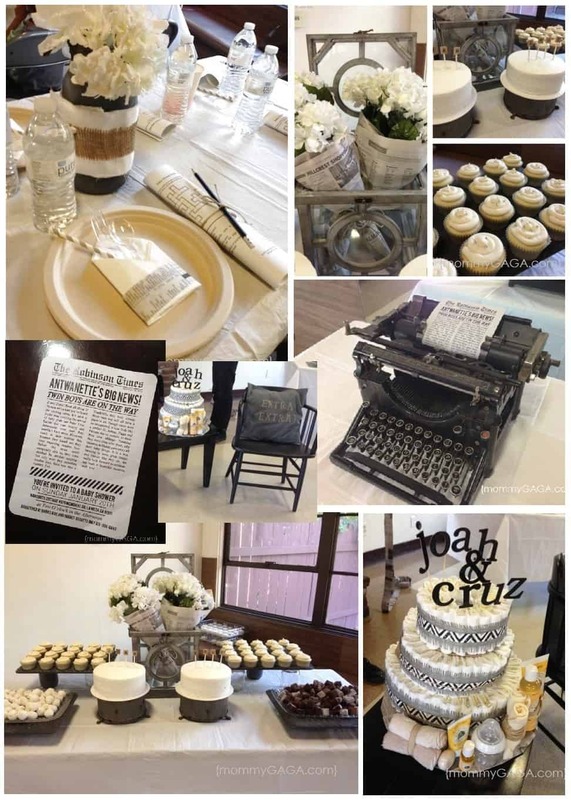 All things vintage come together in this super chic baby shower. Even if you don’t have all the props to recreate this fun idea, there are many affordable elements you can pick to include at your event. I love buying wooden crates at Hobby Lobby, Marshall’s or Target. You can buy vintage marquee letters from various places, but here’s a link to buy them on Amazon. Isn’t this idea the cutest? 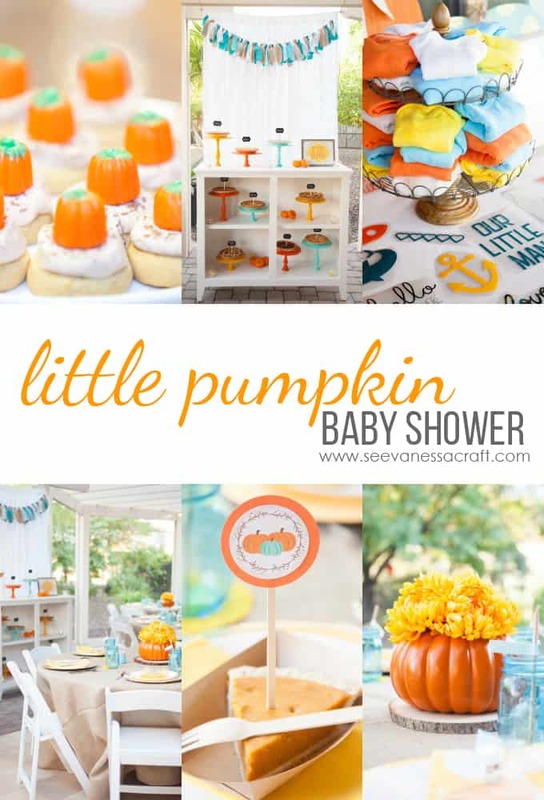 It goes especially well with a fall baby shower. During that time of the year, there’s no shortage of pumpkins, pumpkins spice and fall colored decorations. Candy topped cookies and color coordinated onesies complete the orange, yellow and blue decor. There’s a pie bar at this party, where guest can sample many different flavors of pies. Click the images to shop. 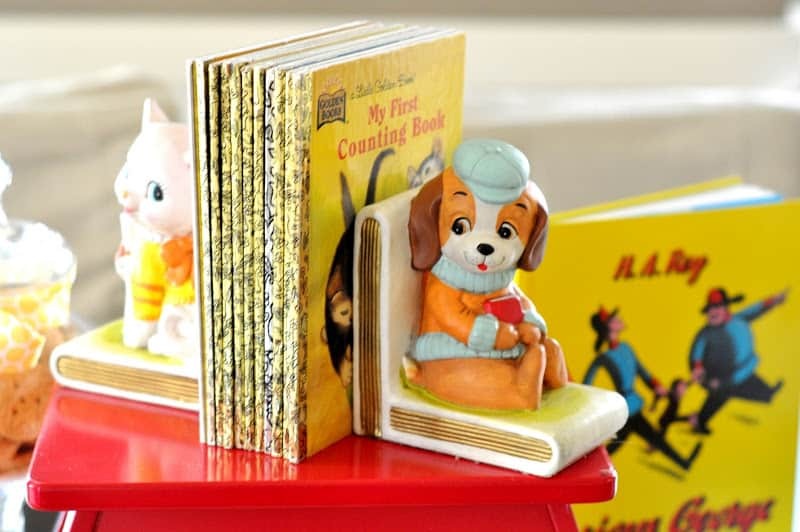 It’s the perfect time to start baby’s classic book collection on his baby shower. All the books purchased for the decor will be cherished for years to come. Call me crazy, but I’m super picky about kids’ books so I would specify what books to buy. 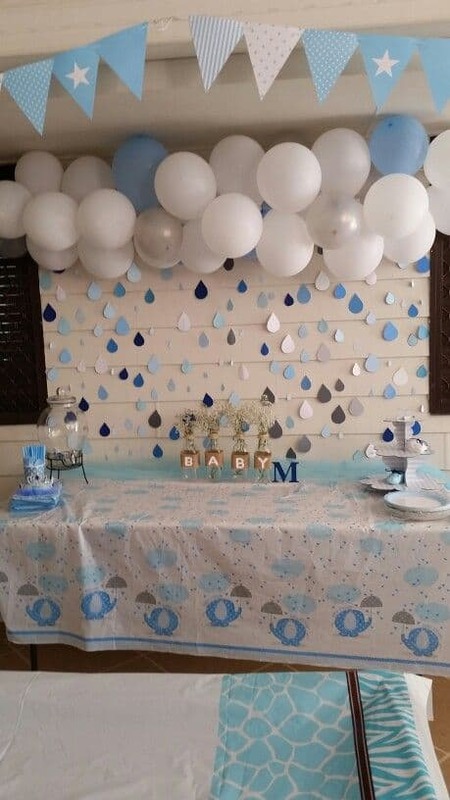 Baby blue elephants in the rain are the theme for this cute baby shower. I love that the balloons are the clouds above the raindrop garland. It’s a literal shower…get it? 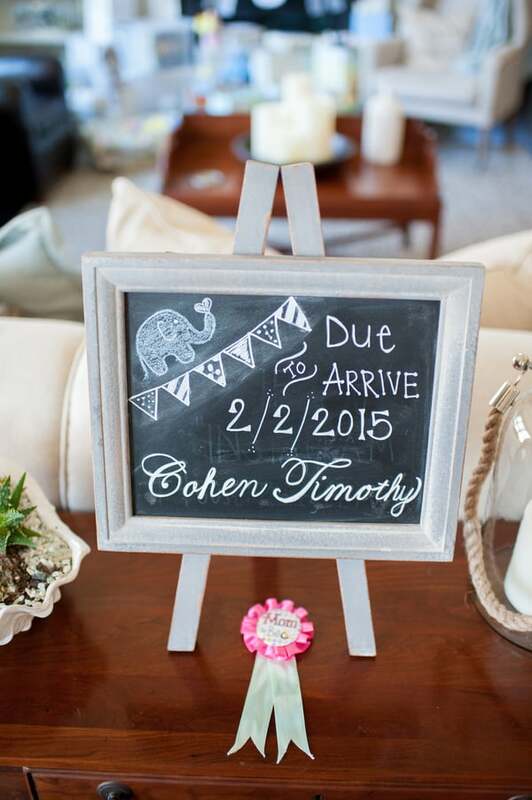 Don’t forget to display baby’s name and expected date of arrival on a chalkboard sign. 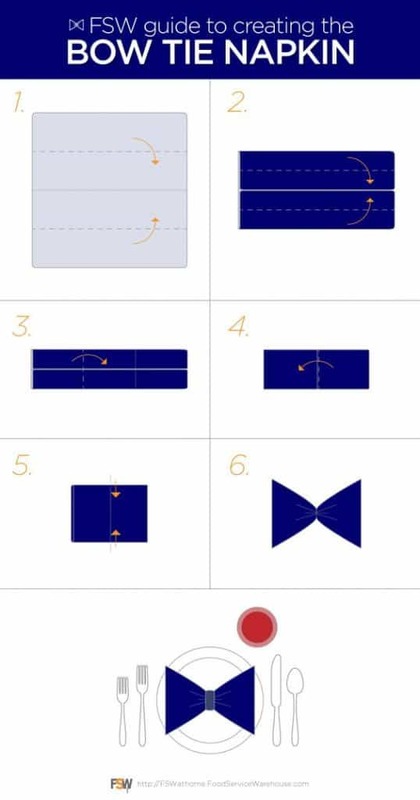 This is such a unique idea! 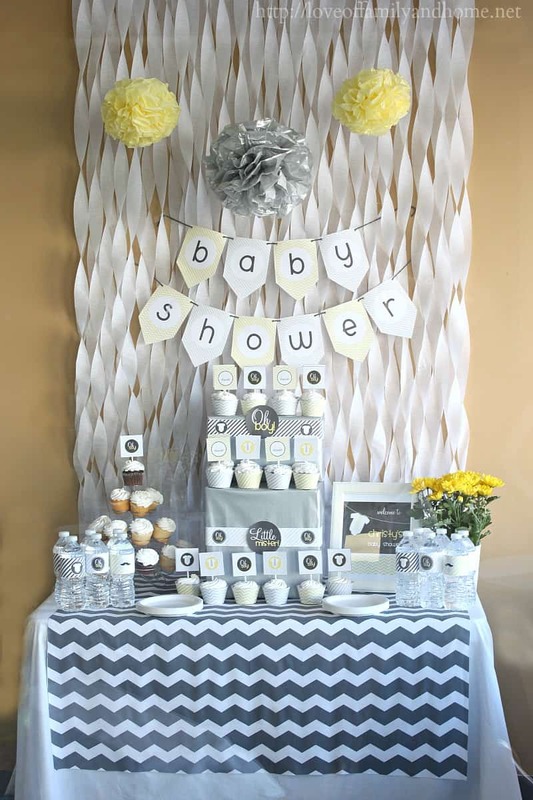 This baby shower set up is for celebrating twins, but it can be easily adapted for a single baby. How cute is this? 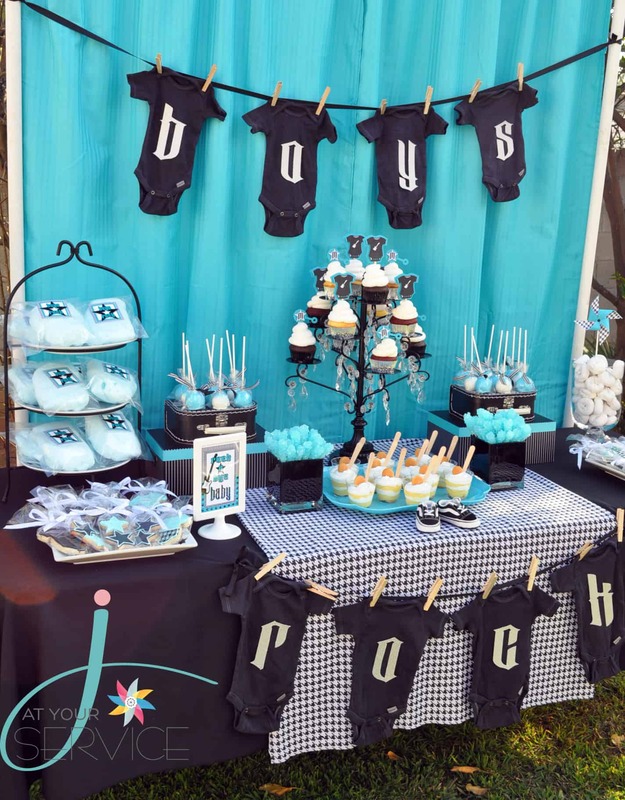 From the perfectly selected cupcake toppers to the printed black onesies, this one is boy baby shower perfection. Celebrate Little Mister’s arrival with all things chevron, grey and yellow. Baby boy starts with b, plus, you can play a game on words with “mama-to-bee”. 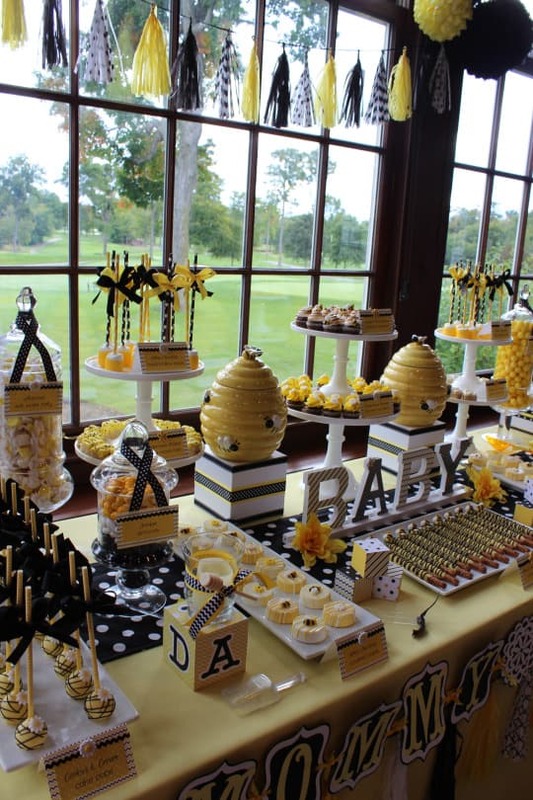 Yellow is a cheerful color that will brighten any party. I love fresh flowers for a simple decoration and they go perfectly with the bee theme as well. 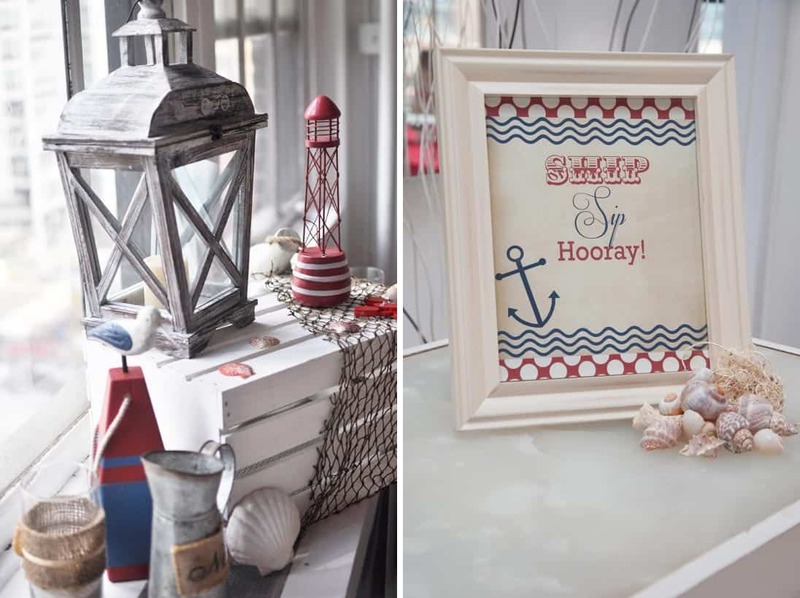 The classic nautical theme is always a win. You don’t necessarily have to buy all these items for the decor to look cute. 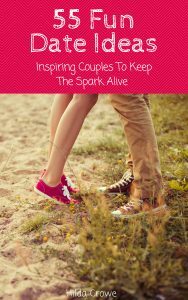 It’s okay to use the pictures as inspiration and be creative with the execution. 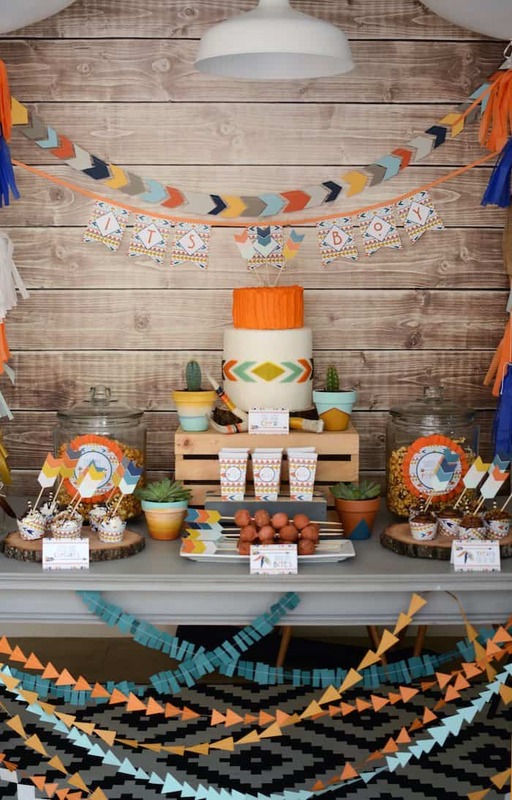 Go with a wild Indian theme baby shower to remind you of the reality of what it’ll be like having a little boy around. Baby turtles are one of the most adorable tiny animals ever. 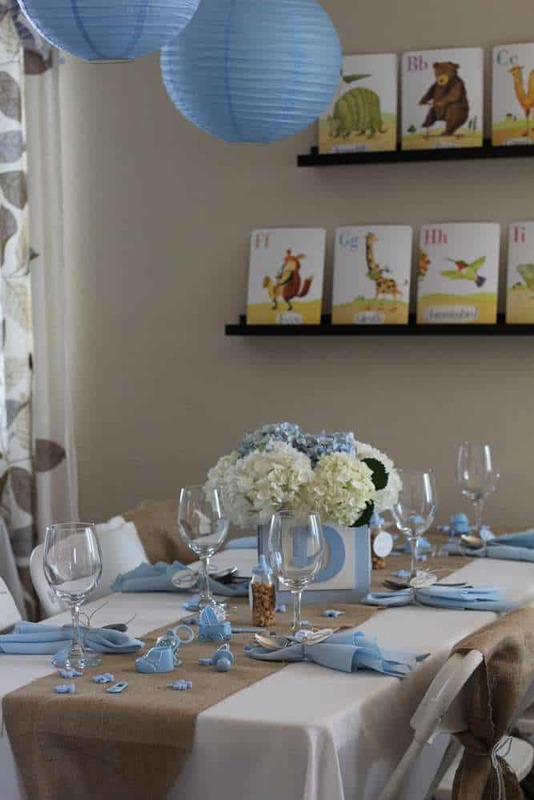 This baby shower is perfect for giving Franklin books to the soon-to-be-born baby boy. Plus, the last few weeks of pregnancy sure seems to go by just as slow as a turtle’s crawl. Royal blue, gold and crowns? Celebrate your little prince like any royal would. Well, you probably won’t be flying to New York on a private plane and have a star-studded shower like Meghan Markle, but the decor can still be fancy. 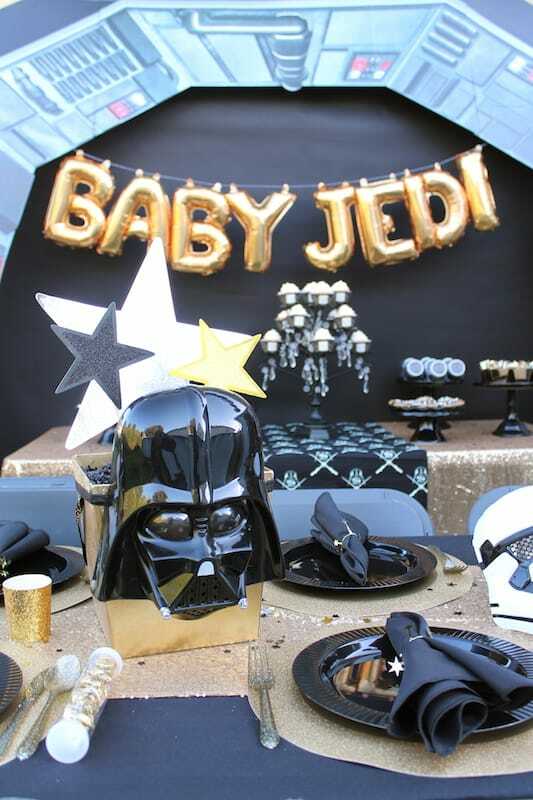 Star Wars loving parents rejoice, there’s hope for your little Jedi to be celebrated in proper style. May the force be with you during delivery and after. 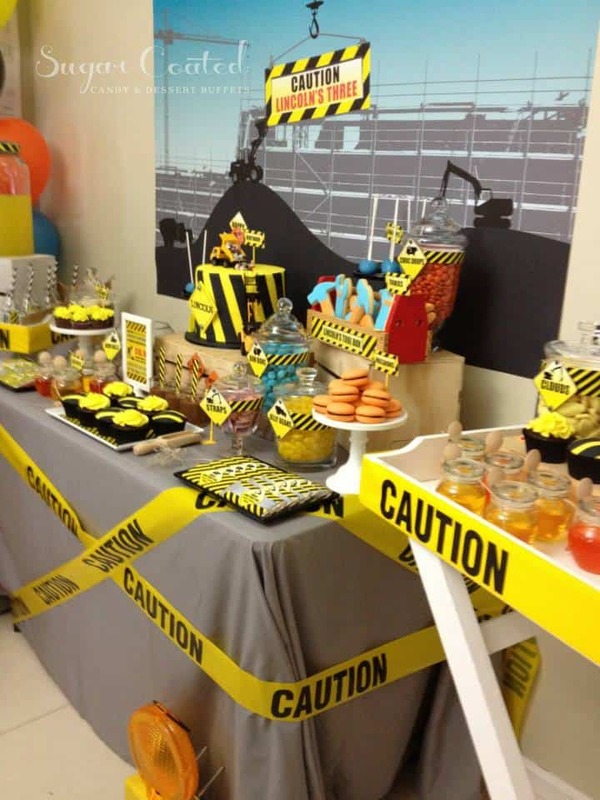 What could be more fitting than an “under construction” theme for a boy baby shower? The yellow caution tapes, mini trucks and tool-shaped cookies complete the scene. Some of the decor pieces could be given to the soon-to-be-born baby as toys. There’s no shortage of adventures with a little boy around. It’s only fitting to celebrate his arrival with s’mores cupcakes and camping snacks.